Proud Mary ought to be proud. Having been awarded best cafe in the Age Good Cafe Guide, as well as being the fourth most popular brunch spot on Urbanspoon, this moderately-sized but bright and chic cafe has what every Melbournian is supposed to love. All day breakfast, great coffee, communal tables, and exposed brick walls. I seriously regretted not ordering a coffee when, just two hours later, I found out that Proud Mary is considered to have some of the best, if not THE best coffee in Melbourne. My own fault really; the half a dozen baristas lovingly pouring milk into lattes and playing with their barista toys, including a whole set of shiny siphon bulbs, should’ve been more than sufficient indication that the coffee was going to be brilliant. I should’ve gotten a flat white and one of those wicked looking chocolate cakes from the counter. Whilst waiting for our food, K slurped down a Berry Smoothie ($6). A tall glass rippled with condensed milk is filled with a frothy pastel pink beverage, which I found to be milky, mild and really quite a lovely drink. However it pays to note that generally speaking, I hate anything berry; berry-loving K on the other hand mercilessly called it bland. Working as a team, we agreed on two dishes we both wanted to try, and swapped halfway. The first one was the Potato Hash ($16.5), topped with buttery spinach, generous rashers of grilled bacon, and served with a poached egg and some bagna cauda. There’s nothing you wouldn’t expect here, except for the faint fishiness from the bagna cauda, which I found gave the dish some character. The rosti was a bit soggy, more like eating mashed potato by the end (not that there’s anything wrong with that), but the egg was perfectly runny, and the bacon was grilled to a meaty crisp. The mashed potato masquerading as a rosti aside, it’s a very well-executed classic. Because it was past noon, we sauntered out of breakfast land and took a stroll in lunch country, before settling on the McIvor Farm Pork Ragu ($17), served on house-made pappardelle. The 24 hour braised pork was as soft as any mince, though I couldn’t taste any of the promised fennel. But that’s ok, because I don’t really like fennel. The wide ribbons of pasta folded into layers on the plate were lusciously slippery yet satisfyingly chewy, a textbook example of al dente. Gulped down with the musty parmagiano shavings melting into the hearty ragu, it brought smiles and some much-needed warmth to the shortest day of the year. 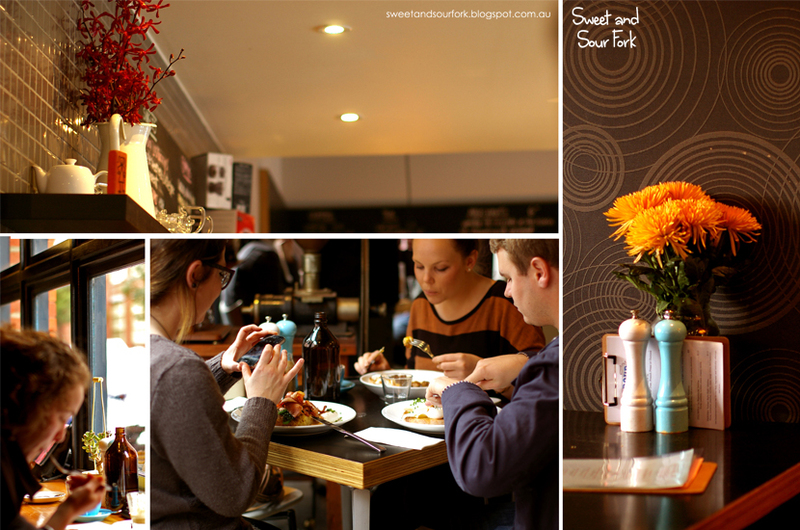 Proud Mary is another safe and pleasant choice in the Melbourne cafe scene. I wasn’t blown away by the food, which was fairly simple and stumbled occasionally in execution. However the food still remains highly enjoyable despite the lack of bells and whistles, and watching the baristas furiously churning out all sorts of different coffee is a treat. Rating: 14.5/20 – be proud. Like you, the place didn't wow me, although I think you still liked it a bit more than me or my companions did. :P I did think the coffees were great though and it's a cute little cafe! I saw your post on Proud Mary (lovely photos by the way), and it's a shame that you didn't enjoy it very much, but at least the coffee was good! I personally found Proud Mary to be a bit ho-hum, but the food was pleasant enough.